Best eCommerce WordPress themes that are better in conversion, have loads of features, have a great front end design. Ecommerce wordpress themes found in theme stores with features we mentioned on low cost are best solution one can find. A user have a mind set they are out there to spend money and if your site looks horrible then the user will never gonna buy anything from the store. This will cause all kind of problem for online ecommerce store owner. If the visitor is not converting as customer then it is a big problem. But here we are saving the day. We have collected some awesome looking full of feature WordPress Ecommerce sites that will do their best to gain trust of the user. They all are packed with wooCommerce and with great layout. I have used couple of eCommerce wordpress themes my self and they can be found in this list. My clients wanted me to give them better solution to manage their store along with the big requirement was their site should convert. Please have a look on these wordpress eCommerce themes packed with woocommerce. Its multipurpose version have all necessary elements for a ecommerce template. MAN’S is a flexible and simple theme which bring a different experience in Shopping. It sets the standard for setting up your online shop with a dozens of features! It is designed so it is easy to use and working on your site right on install. It is built with the latest in HTML5 and CSS3 in mind to ensure it meet the standard of quality websites. We are representing our latest eshopper WordPress Woocommerce Theme. This is mainly a woocommerce theme but you can use as like other simple theme with blog and other pages as well. There are some special features in our theme like advanced theme options, products show as grid view, unlimited icons, unlimited shortcodes, left sidebar layout, right sidebar layout, full width layout and unlimited sidebars etc . This theme is fully compatible with >IE9+, Firefox, Chrome, Safari, Opera etc. There is a rich documentation where you can find all of your questions answer and also we are always ready to solve any issues . The eshopper theme is built on bootstrap responsive format that automatically adapts to fit any screen devices : computers, laptops, tablets or smartphones. We hope that eshopper will be your best selection. We’ve set up four different demos for you to explore. Enjoy! 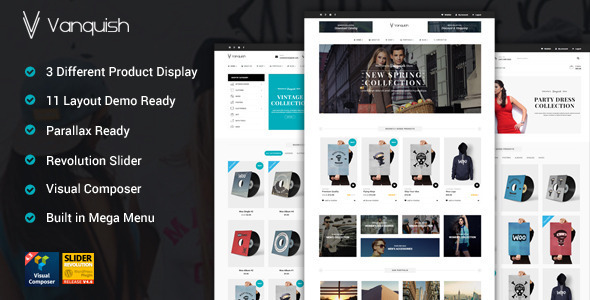 The Phoenix – Responsive WooCommerce WordPress Theme with clean and modern design. It’s allows you to easily create your online store right away. This theme for high selling fashion such as clothings, shoes, bags, fashion for men, women, accessories. Pasar also supports WC Vendors plugin that allows you to turn your store into a vendor marketplace. You can assign existing products to vendors, or they can add and edit their own ones. Every vendor will have a dedicated vendor page on your site where they will be able to list all of their products, but they will also show up in your normal shop pages so you can sell your own products alongside those of your vendors. 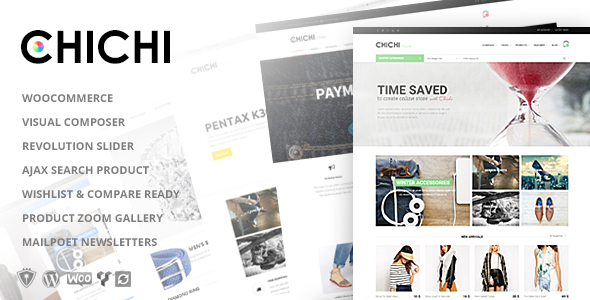 We are happy to announce our new theme: SinoShop – Woocommerce Theme. Hello everyone, Opal Team is very proud to release a new WooCommerce theme of shopping “GentShop – LookBook WooCommerce WordPress Theme” is a professional WooCommerce WordPress them with multi purposes suitable for any kinds of shop but special for Fashion Purpose with Look Book integrate. You feel comfortable to display your favorite products wonderfully and impressively. This theme integrates with WooCommerce, allowing you to build an online store, making Toddlers the perfect theme for a kids clothes store or toy shop. It also integrates with The Events Calendar (Free WP plugin), ContactForm7 (Free WP plugin), Google Maps and Google Web Fonts.